If you’re not the best with managing your time or written English, Papersmart.net is a site you’ll want to be aware of. Whether you’re looking to have work completed in the area of psychology or chemistry, odds are that you’ll be able to find a writer to suit your needs. Let’s have a deeper look at the nature of their services. There are four levels of prestige you can choose from, upon recruiting the services of papersmart.net. The first level is a regular writer, the next is a top writer, the third is a former author, and the final is an advanced author. Obviously, the higher on the totem pole the writer is placed by the site the more money you’ll shell out for their services. The papers can be written from nothing, but the fees might change if you choose to pursue this route. While refunds are offered, there are many regulations regarding the situations that merit such returns. Do research on the site before you sign up to avoid any roadblocks. 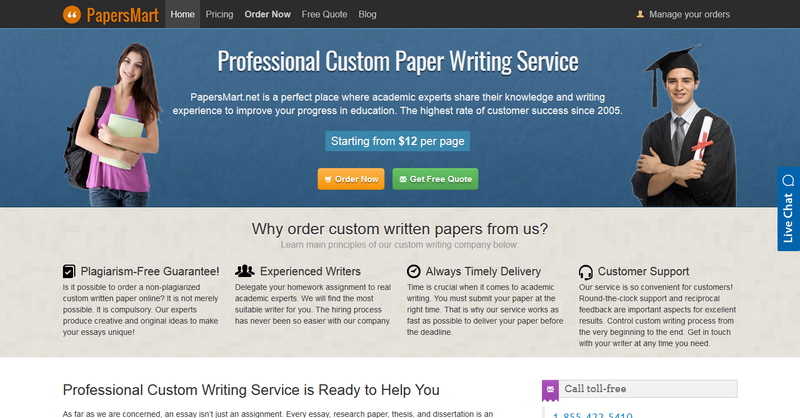 Papersmart.net is a site that provides a variety of different services to its users, services that extend beyond that of just paper writing. They allow their customers to check previous samples of a prospective writer’s work, in order to ensure they produce a piece of writing that’s up to the writer’s standards. They offer services for editing, plagiarism, and style checkers as well. The services are broad, to say the least. Another positive thing to note is the lack of middlemen throughout the process. You’ll correspond directly with the writer, preventing any communication flaws and writing errors. Pricing is simple, with the price per page at $10. While it can add up if you’re looking for an extensive research paper to be completed, papersmart.net offers excellent discount rates for larger assignments. While this might seem great, there is one noticeable pitfall. You pay the writer up front, as opposed to a partial payment made to them at the start of the arrangement. Essentially, this allows the entire arrangement to be in the writer’s hands, especially since refunds are rather cumbersome to work out. On the subject of refunds, it’s important to know that you can’t get a full refund if you peek at the work your writer has sent you. There are many hidden costs at papersmart.net, costs which can add up and send your final bill through the roof. Extras such as annotated bibliographies, cover pages, or style-specific instructions all come with an additional charge. The prestige might be there but the value – not so much. 24/7 support is offered through papersmart.net through the means of telephone and email communication. In addition to many detailed reviews of the site on the web, their site has an excellent FAQ page with relevant and easy to read information. The site also has a step-by-step guide for the entire paper generating process. As far as the representatives themselves, you’ll want to stay away; most seemed to be inadequately equipped to answer questions. You’ll get your paper sent to you email account once it’s done. You can change this, as well. If you aren’t satisfied with the work, papersmart.net offers three revisions free of charge. These revisions might be tough to actually go through with, however; it’s tough convincing the support team and the writers that they made any mistakes. Papersmart.net is a site that has a broad range of editing services, but they don’t quite have the pricing to make it seem like a viable or valuable writing site. While the $10/page pricing might seem small at first, costs can soar unexpectedly. Writers through this service are professional and upfront with customers, and are in direct correspondence with you. The fees pile up but the services are top-class.